Six directors of Transglobe Investment & Finance Company Limited have been directed by the Securities and Exchange Commission (SEC) to appear before it on Wednesday, January 18, 2017. 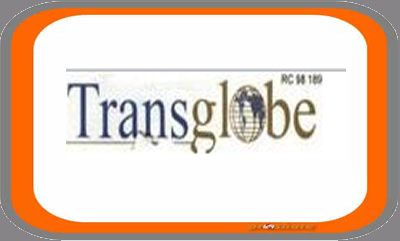 In a circular posted on its website, the capital market regulator noted that it was summoning the market operator because of “various complaints against Transglobe Investment & Finance Company Ltd” it received from investors, which are presently under investigation. It pointed out that in view of this, the six directors and their sponsored individuals must appear before it on the aforementioned date. SEC explained in the circular that the alleged unresolved complaints by investors against the firm were worth more than N300 million. Names of the six directors were given as Osita Ignatius Odili, Obasola Alao, Bariu Abdul Gaffar, Sunny Obidiegwu, Clement Obineze Maduako, and Alex Ekwueme. “As at July 2016, there are five unresolved complaints still pending against your company involving over N300, 000,000.00. “In view of your position as Directors and sponsored individuals of Transglobe Investment & Finance Company Ltd, the Commission hereby invites you to meet with its officers in order to deliberate on ways of resolving all the outstanding issues,” the circular read in part. Venue of the meeting is the 4th Floor, Commission’s Head Office on Plot 272, Samuel Adesujo Ademelegun Street, Central Business District, Abuja and the time is 11am.